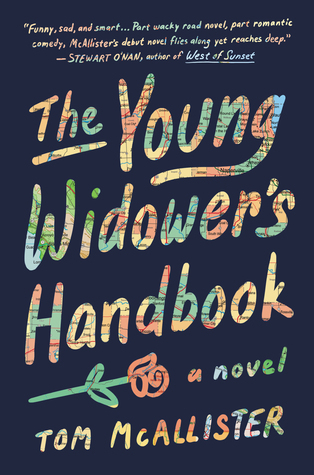 “You don’t fall in love, like some people do, with the idea of being in love, but rather with her, specifically, and only her.” Shifting perspectives from second person to third in alternating chapters, we meet Hunter Cady, the devastated titular protagonist of The Young Widower’s Handbook (Algonquin). After the recent and unexpected death of his wife Kait, Hunter sets off on a poorly planned road trip from Philadelphia to the West Coast with Kait’s ashes in tow, honoring their unfulfilled dreams of travel. Evading both her family and his, and meeting equally eccentric characters along the way, Hunter searches for peace in unfamiliar surroundings and tries to cope with his grief. Philly’s own, Tom McAllister, has crafted a debut novel that is a bittersweet tribute to love and loss. This isn’t the archetypal road trip novel; the supporting characters appear fleetingly and almost without impact, inserting themselves as needed and exiting abruptly. The journey isn’t about paving a new life for Hunter either, but rather accepting the end of his former. Hunter is often short-sighted and selfish, acting on brief bouts of self-righteousness, lust and anger. He lies to the people he meets who offer their help. He reflects on Kait’s flaws as much as her attributes, dissecting past conversations and arguments. He pities himself. He scrutinizes others. He is far from an ideal husband or son. But that is what makes this story so engaging. McAllister expertly crafts three-dimensional characters with heartbreaking accuracy. Hunter’s decisions are ill-advised at best, but is there ever an appropriate way to mourn? Are we ever really prepared for handling our worst fate? By the novel’s conclusion, the real lesson learned is that humans are capable of unconditional love and living again once it’s gone.